Why am I being contacted by multiple debt collectors for the same debt? It’s confusing enough to get a call about an old debt you didn’t know you had, much less to get calls from multiple people about that same debt. Believe it or not, this happens all the time. While it doesn’t necessarily indicate fraud, it could mean that someone somewhere along the line has violated your rights under the Fair Debt Collection Practices Act (FDCPA) and not only will you not owe the debt, THEY may owe YOU damages. Let me explain. It is often not worth a creditor’s time to work too hard make you pay what you owe. After all, collecting debt is not their primary role. The creditor may be a credit card company, whose purpose is to lend money and collect it, but it could also be a medical clinic, cable or cell phone provider, or your town’s tax department. 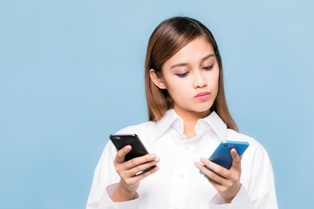 These service providers will send bills for several months, perhaps adding fees with each month you don’t pay, maybe calling you to follow up, and that’s about all they have the time and resources to do. After that, they will likely sell the bill to a collection agency. They may sell it for 10 cents on the dollar, but at least they have some money back in their pockets. Now the debt collector has the potential to collect on the full amount of the debt they bought for a fraction of that. And they are often successful. People are more threatened by a collection agency calling than the cable company, for example, and many pay up without a fight. However, if the debt collector has made several attempts and can’t get anything from you, he will probably sell the debt on to another agency, maybe for 25 cents on the dollar. He has made a bit of a profit, and now a third agency has your information and will start calling you. This is how you end up with multiple agencies trying to collect the same debt, but it doesn’t mean you are in any more trouble than you were when you first missed the payment, even if it feels like it. No matter who is contacting you about the debt, they have to be able to provide documentation of the validity of the debt. They have to show how much you owe, to whom you originally owed it, and that it is actually YOU who owes it. 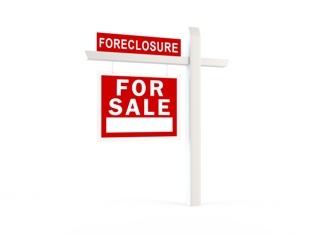 As debts are sold again and again, documents and contracts are often lost. If a debt collector is contacting you without having all of this documentation in order, he is violating the law. If you are being contacted about a debt you suspect has been sold multiple times, try my FREE debt collection blocker and then call me. My advice is always free, and I don’t collect a fee unless we win damages for you. 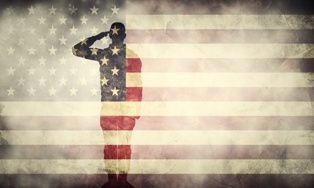 Am I covered under the Servicemembers Civil Relief Act? Considering that this powerful legislation protects servicemembers from high interest rates, penalties for breaking leases, and some civil court judgements, it’s important that you know whether you are covered or not. Simply put, the Servicemembers Civil Relief Act (SCRA) applies to all active-duty military personnel—but does that apply to you? Find out here! For most servicemembers, SCRA protections begin on the date they enter active duty military service. For military reservists, protections begin upon the receipt of certain military orders. If you are still not sure if you are eligible for the benefits provided by SCRA, do not hesitate to call me to find out! If you think someone isn't respecting your SCRA rights, call me and I will evaluate your case—for FREE! Not only does the law provide for criminal penalties for violators of SCRA, it also entitles you to sue the violator in order to fix what they did wrong and to pay attorney fees if we win. So you truly have nothing to lose by calling me if you think your rights have been violated. As a Marine Reservist myself, I am proud to help those serving in our armed forces. Contact me online or call me directly at 855.982.2400 and let's talk about how I can help! How Can I Avoid Being A Victim Of A For-Profit College Scam? The promised education benefits were one of the reasons you joined the service to begin with. Serving your country is a great way to pay for the education you have always dreamed of. Now that you are ready to use these benefits to attend college, don’t allow yourself to be taken advantage of by a for-profit college that is just out to get your money. Simply put, a for-profit college is an institute of higher learning that is run by a private, profit-seeking company. They typically offer flexible class schedules, including evening and online classes that are very tempting for students who have a full-time job or are raising a family. While some of these schools are reputable, others have been found to make promises to students that they can’t keep. Students are left with a hefty bill and no job prospects. Schools that are just out for your money will often pursue you aggressively. A high-pressure sales pitch should be a red flag that something is not right. Do not allow yourself to be rushed into making a decision. Take your time to consider multiple options. You are going to school to prepare for a career, right? So it’s a good idea to look at each school’s graduation rates and job-placement statistics rather than just taking a TV ad or salesperson’s word for it. While their schedules and locations may be convenient, for-profit schools often cost more than public colleges and universities. Take the time to compare costs and look for public colleges that offer flexible scheduling and satellite campuses. The actions of certain for-profit colleges are truly despicable, particularly when they set their sights on those who have served our country. 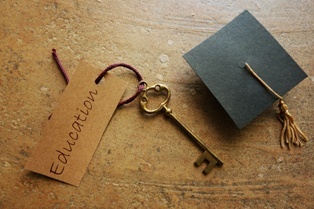 However, it’s up to you to protect your education benefits so that you can make the most of your future. As a Marine myself, I am happy to provide helpful information like this to our men and women in uniform. If you believe your civil rights have been violated as an active-duty servicemember, contact me online or call me directly at 855.982.2400 to see if I can help set things right. Do I need to file a police report if I am filing an identity theft report with the FTC? If someone has stolen your identity and taken out a loan or opened a credit card in your name, you have work to do. There’s no way around the fact that identity theft is a major pain, but if you don’t take the necessary steps to undo as much of the damage as you can right now, the pain could get even bigger. The first thing you should do to protect yourself from the problems the thief is going to cause in your name is to tell the authorities what has happened. The Federal Trade Commission (FTC) acts as a kind of clearinghouse for identity theft reports. 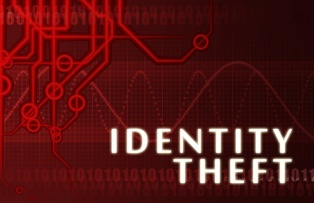 When you go to their website at www.identitytheft.gov, you will be guided through a series of questions to report the theft. Once you have given them all the information you can, a report will be generated that can be offered as proof to any lender or business that disputes your claim of identity theft. You will also need the report when you file a police report. Your goal in reporting this to the police is not to get them to catch the thief, but to get a copy of the police report. Ask them to attach your FTC complaint to your report. You may have to be firm and insistent with the officer—but also calm and patient—because they may see it as a waste of their time. Identity Theft Is Not a Waste of My Time! If you’re getting nowhere with the FTC or the police, check out my identity theft toolkit to walk you through the steps to recovery. If you are being harassed by a lender or collection agency over debt that is not yours, you may be able to take legal action to stop them. If that’s the case, don’t wait any longer to call me. I will look into your situation and help if I can. The best part is, I will do all of this FOR FREE! If you are owed damages for harassment, I will file suit and take my payment only when I win on your behalf. Now is not the time to bury your head in the sand and hope this goes away. Take action today! Contact me online or call me directly at 855.982.2400. How can I protect my stored property when I am on active duty? To the average person, temporarily renting a unit to store personal possessions is no big deal. However, when you are an active duty servicemember who has been deployed or moved and must store almost everything you own while you are away, there is a lot to worry about. What if you forget to make a payment? What if you are away longer than you expected? Will you lose your possessions? The good news is, you have protections that the average citizen does not have. Call me. As a Marine and military consumer attorney, I am committed to protecting the rights of our men and women in uniform. I will communicate with the judge and get the proceedings against you stopped. Ask for more time. If you are behind on your rent or are unable to pay what you owe, we will work with the judge to adjust the amount you owe or the deadline for making the payment. 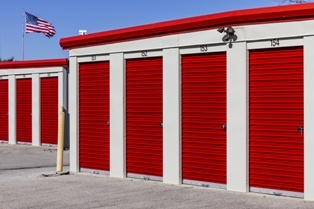 If the judge decides that your deployment or active duty status is not the reason you have broken the contract, he could grant the storage company permission to sell your belongings. Don’t let it come to that. Contact me before it’s too late! These protections are granted under the Servicemembers Civil Relief Act (SCRA), which grants many other protections as well. But if you don’t know your rights, you won’t know when you are being taken advantage of. If you are on active duty and are struggling with any consumer matter—breaking a new car lease, a landlord dispute, a civil lawsuit—please feel free to contact me online or call me directly at 855.982.2400 for help. You deserve better treatment while you are serving our country and I’m here to make sure you get it. How do I get accounts opened by an identity thief off my credit report? Not only do identity thieves steal your money, but they also steal your peace of mind and your financial reputation. When your personal information—Social Security number, bank account number, or password—has been stolen, you can quickly become overwhelmed by everything you need to do to fix it. Fortunately, you don’t have to despair. When accounts you did not open are on your credit reports, call me to help you take the necessary steps to get them removed. I will give you everything you need to take care of the problem and, best of all, I won’t charge you a thing! What Can You Expect for Nothing? Identity Theft Credit Help! Give you a copy of all the information in your file. Block any information in your file that resulted from identity theft, including unpaid accounts, lines of credit, or loans, so that anyone looking at your file—a potential creditor or employer, for example—cannot see the fraudulent information. Hopefully, taking this first step will begin to make you feel more in control of a frightening situation. You can also expect a follow-up call from me to see if you have any questions or need additional assistance. I will evaluate your case for potential legal action and you will owe me nothing until and unless I do find grounds to file suit and I win damages for you. Trust Me—Everything Will Be OK! I know how painful it is to be the victim of identity theft. The stress and anxiety it causes can affect other areas of your life, including work, your social life, and your family. Don’t allow the actions of a thief to take over your life. Fill out my contact form and let’s get started fixing this problem now! How do crooks get ahold of financial information? As consumers get wise and security systems go high tech, identity thieves have had to step up their game—and have they ever! The lengths these crooks will go to get your sensitive financial information is almost unbelievable. What they are able to do with your data once they get it can have long-lasting repercussions for your credit score and your ability to get credit cards and loans in the future, so it’s well worth your time to learn how they work. Stealing your mail. Think of the sensitive data you get through the mail—bank account numbers, tax forms with your Social Security number on them, confidential medical reports, and more. 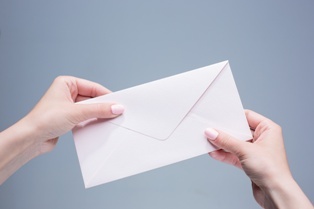 Thieves may take mail directly out of your mailbox or they may fill out a change of address form to redirect your mail to them. Sign up to get as much of this communication sent electronically as possible and be aware of when you should receive a statement so that you’ll know when you don’t get it. Going through the trash. Thieves can strike gold in garbage cans, Dumpsters, and recycling bins. 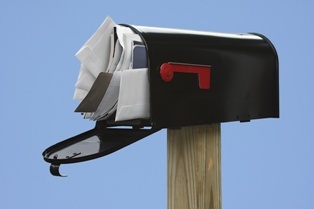 Those same confidential forms you got in the mail can end up in the garbage and can easily be picked out by thieves. Always shred sensitive forms and statements. Stealing your wallet. Totally old school—but it still works. From your wallet, thieves can get your address, bank account numbers, credit cards, and even your SSN, if you carry your card with you (which you should NOT do!). Hold on to purses and carry wallets in a front pocket to protect yourself. Getting a copy of your credit report. It’s not too difficult for a thief to pose as a landlord or employer and request a copy of your credit report. Once they have that, they have everything they need to steal your identity. Check up on who has requested your credit report and follow up on anything suspicious. Phishing. If you get an email that asks you to reply with account numbers or directs you to a website to enter information, you should immediately be suspicious. Thieves will pose as eBay, PayPal, or a government agency to get this information from you. Don’t fall for it! Legitimate companies will never ask you to send them information they should already have. Corporate data breaches. When a store or institution that has your personal financial data is hacked, you are at risk for identity theft. This seems to be happening more and more and there’s not much you can do other than follow the news and freeze your credit when it happens to you. 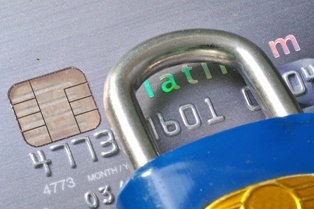 Fix Identity Theft Related Debts-Learn How For Free! While you should do everything you can to protect your personal financial information, you are not to blame if a thief gets your information and opens accounts in your name. When that happens, don’t waste any time taking action. Contact me online for FREE help undoing the harm that has been done. If there is legal action to be taken—like against the credit reporting agency that gave your credit report to a thief—I’ll help you take it! You can also call 415.802.0137 to speak with me directly. Fair Credit Reporting Act Can’t Help You If You Don’t Know Your Rights! 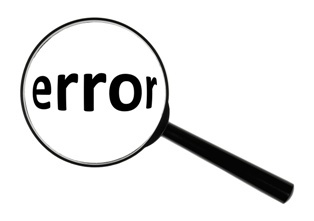 Don’t Ignore Credit Report Errors! Get Them Removed Now!